Wonderful set of salt and pepper shakers and an additional bowl by Mauro Manetti. Very rare and it´s decorative as well as functional. 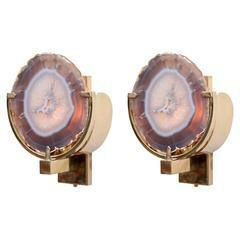 Wonderful pair of agate stone wall lamps or sconces. 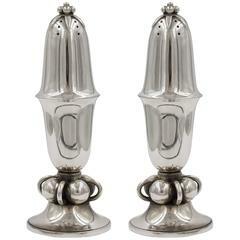 The wall lamps are in very good condition. One x Model A Bulb/ E27. Wonderful set of two brass nesting tables with glass tops in very good vintage condition. The table legs in tapering shape providing elegance and lightness to the tables. Salt shaker in the style of Mauro Manetti Bird sculpture. 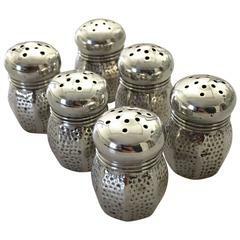 Set of six salt / pepper shakers in American sterling silver. 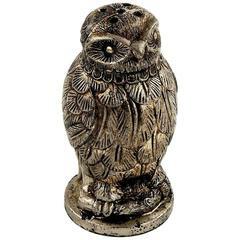 Measures 3.5 cm tall (1 3/8") and 2 cm diameter (0 25/32"). Pair of two weighs 15 g / 0.55 oz.